22x22x1 SureSorb Flocked Honeycomb Die-Cut Carbon Filter | Air Filters, Inc.
Are you simply masking annoying odors? 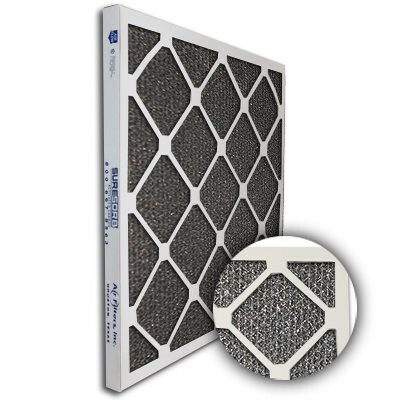 SureSorb™ activated carbon flocked honeycomb in die-cut frame is the ideal filter for upgrading systems to add carbon filtration with the lowest cost per unit. Using a form of honeycomb shaped to give a more open carbon filter, allowing a lower pressure drop. 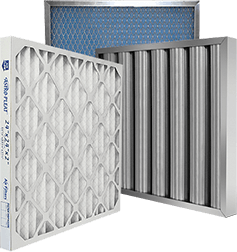 Encased in a die-cut frame and still using bulk carbon, this filter is highly effective for removing VOCs and controlling odors for use in commercial and industrial applications. Designed for the control of intermittence odor problems in re-circulated air effectively removes odorous and irritating gaseous contaminants. SureSorb™ flocked honeycomb is manufactured with honeycomb shaped kraftboard flocked with activated carbon and is encapsulated in a heavy duty die cut beverage board frame to insure filter integrity in HVAC applications. Activated carbon air filters are designed to last up to 3 months however the activated carbon with in the air filter can have a limited life span based on the amount of odors required to absorb and so replacement may need to occur in quicker intervals.